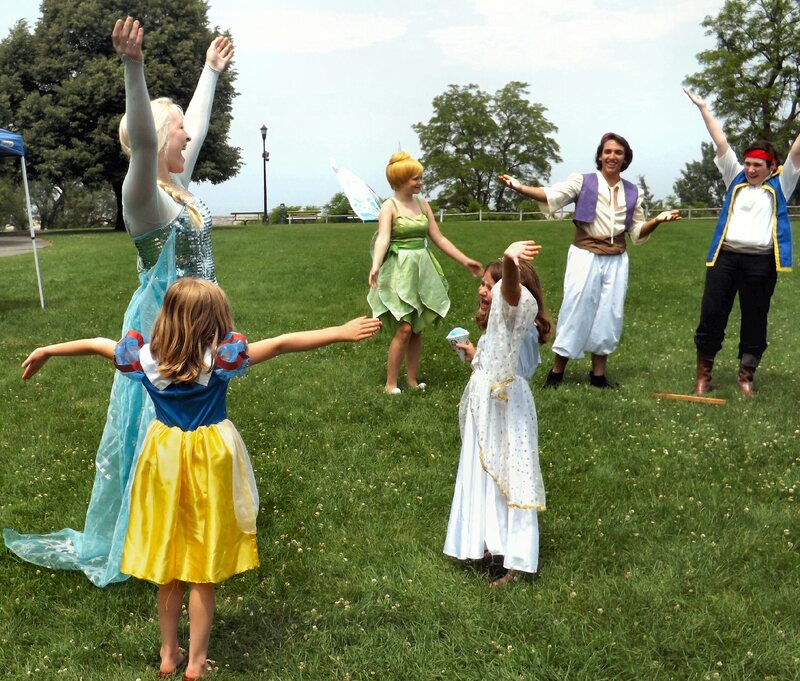 In June, Breitbeck Park was alive with music, a children’s parade, food and plenty of family-friendly activities. Julian was diagnosed with Stage IV Neuroblastoma on August 4, 2011. He was just 6 years old. In early March of this year, he was put on Hospice care. He had been undergoing some treatments at Children’s Hospital Of Philadelphia (CHOP). This is the time of the (school) year to pause to look back, but stay focused on the future, the superintendent said. There has been a lot of review going on; being a focus district, they had state representatives visit “looking at our district academically for a few days last week. It was a very thorough process. We will work with the state to improve ourselves as a district,” the superintendent said. The district needs to build the budget around what it wants to do and needs to do, not letting the budget process dictate this is what the district has let to work with, he added. As far as “the nuts and bolts of the budget,” they need to start having some public discussions about reducing voting sites, he told the board. An Oswego County Board of Elections Commissioner would make a presentation to the board in early December. Members of the Administrative Services Committee continued a discussion on the city’s sidewalk repair and replacement policy. After a previous discussion a few weeks prior, councilors decided to get together and come up with some proposals. They proposed going back to a flag system where a certain number (10) of flags (sidewalk sections) would be delegated to each councilor, Council President Eric VanBuren said. Up to four flags can be done in front a property; any thing above that would have to be requested and the DPW commissioner would make an estimate of the cost and it would be the responsibility of the homeowner, he added. Councilor Shawn Walker pointed out there is one place in his ward where 10 flags need to be replaced. The councilors should be allowed to figure out what they need for their wards, Walker said. “If there’s one really bad spot, I’d use up my allotment right there,” he said. There are some areas where a lot of work needs to be done, agreed Councilor Ron Kaplewicz. Ten flags, in any of the wards, isn’t nearly enough, he added. Oswego Mayor Tom Gillen announced in early June that Branch Commercial, a Malone, NY-based hotel development company, would begin construction in the next two weeks of a new, 81-room Holiday Inn Express and Suites in the city of Oswego. The site of the new Holiday Inn Express is located adjacent and to the north of the Ruby Tuesday restaurant on Route 104, east of the downtown business corridor. Branch Commercial is building the new “Formula Blue” Prototype design offered by International Hotel Group, the parent company of Holiday Inn Express and Suites. This new property will be among the first hotels developed in the United States using this concept. In addition to offering all the amenities that modern travelers have come to expect, this particular facility will include a new, state-of-the-art indoor pool and spa, an ultra modern great room and lobby for guest interaction, as well as the latest room appointments for ultimate comfort and safety. In addition to the dozens of construction jobs this project will require 17 full-time positions, which will be available prior to the grand opening. Oswego High School seniors Sean Benjamin, Lainey Celeste, Bri Lane, Ben McCrobie, and Mark Taormina took third place out of 43 schools recently at the New York State Envirothon competition held at Hobart/William and Smith College in Geneva. The members of the OHS Environmental Club had won the Oswego County Envirothon competition on May 7 for the first time in school’s history. In addition to qualifying for the state competition in May, each student won a $100 scholarship from NRG, a $100 scholarship from the Sportsmen Federation, medals, trophy, and an engraved plaque that will be displayed at OHS for a year. Envirothon is a nation-wide environment educational competition where teams of five high school students collaborate and compete in the environmental categories of soils, aquatics, forestry, wildlife, and a current environmental issue. Participants must also research and create a 10-minute video presentation of a solution to a current environmental issue. This year’s competition focused on the invasion of the emerald ash borer. The strategic plan also won recognition in the APEX sub-category for special purpose websites. The APEX competition is open to for-profit and nonprofit organizations from throughout the English-speaking world. The union had been working without a contract since the previous pact expired Dec. 31, 2012. It was subject to ratification by members of the legislature and the Silver Star Association. The collective bargaining agreement that expired except for salary increases: effective Jan. 1, 2013 – 0 percent; effective Jan. 1, 2014 – 0 percent; effective Jan. 1, 2015 – 2 percent (with full retroactivity); and effective Jan. 1, 2016 and Jan. 1, 2017 – both at 2 percent. All emplouees hired on or after the date of ratification will accrue vacation at 2 days less than currently shown in Section 15.2 of the contract. All emplouees hired on or after the date of ratification will accrue sick leave at the rate of 8 days per calendar year. The Oswego Renaissance Association announced the 2015 Renaissance Block Challenge Grants were awarded. Block Challenge Grants award individual property owners up to $1,000 each in matching funds for exterior improvements, if neighbors get five or more households on the same block to participate. Neighbors must also propose a plan to begin revitalizing their neighborhood as part of their application. This year, more than 150 homes on 17 city blocks were funded. The 2015 Renaissance Block Challenge grants are funded by the Shineman Foundation and Pathfinder Bank, with administrative support by SUNY Oswego. According to Stewart, by November of this year, the ORA will have leveraged between $750,000 and $1,000,000 in investment in Oswego’s neighborhoods – all within the last 18-24 months. After 13 years of school, it took about 33 minutes to turn the OHS Class of 2015 into freshly minted graduates (it was 28 minutes for the class of 2014). At 10:52 a.m., diplomas were received by the first batch of students. The clock above center ice clicked to 11:25 a.m. as Carrie Yurkon accepted the final diploma. Principal Erin Noto welcomed the students and audience to the 159th OHS commencement. She said she was “excited and proud” of the Class of 2015. In his second graduation address as superintendent, Ben Halsey encouraged the graduates to get steamed up. The Oswego County District Attorney’s Office was pleased that the NYS Department of Corrections denied parole to Alan Jones, who is in state prison for causing the 2008 death of his 11-year-old step-sister, Erin Maxwell, DA Greg Oakes said June 29. An Oswego County jury convicted Alan Jones of Murder in the Second Degree in 2009, finding that he acted with depraved indifference to human life when he killed Erin. Jones was sentenced to 25 years to Life on the murder conviction. In 2012, the state Supreme Court, Appellate Division (Fourth Department), reversed Jones’ murder conviction, holding that Jones did not act with “depraved indifference” when he took Erin’s life. The appellate court reduced the conviction to Manslaughter in the Second Degree and returned the matter to Oswego County Court for re-sentencing on the lesser offense. On re-sentence, Jones was sentenced to 5 to 15 years, the maximum sentence for Manslaughter 2nd. As a result of the appellate court’s decision, Jones became eligible for parole in June of 2013. District Attorney Oakes wrote the parole board at that time, urging them to deny release. The Department of Corrections denied parole to Jones and set a new parole hearing date for June of 2015. In April of this year, District Attorney Oakes wrote a strongly-worded letter to the parole board and argued against Jones’s release. The Oswego Health Board of Directors announced June 30 that Ann C. Gilpin decided to pursue an early retirement as president and CEO, effective immediately. Gilpin made this decision, in consultation with the board, so that she may pursue personal and family matters that have been postponed by her commitment to leading the changes at Oswego Health over the last eight years. As Oswego Health moves forward, Clark also noted that the health system will continue to develop high-quality services through the important relationships it shares with the medical staff, employees and other health and human service organizations in the county. Operations at all Oswego Health locations continued to be overseen by the current executive leadership. The board of directors was working to secure interim and long-term leadership that will assure community members continue to have access to the highest level of quality care in the region. On Sept. 1, the board announced that Charles Gijanto accepted the position as the health system’s president and chief executive officer.